Tower Lifts is proud to offer the most extensive range of effective, affordable and endlessly versatile commercial lifts for Manchester. Having worked with businesses of every shape and size across the city, we know exactly what it takes to consistently exceed expectations. 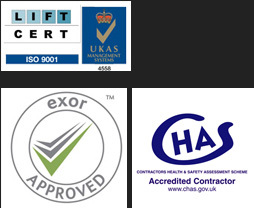 If looking to work with a goods lift company for Manchester with a tried, tested and trusted reputation, you’re in safe hands with Tower Lifts! We fully understand and acknowledge the importance of effective, efficient and reliable transportations of goods around the workplace. Whether it’s transporting cars and the heaviest merchandise to the required floor or ensuring food items reach customers promptly and hygienically, our experience and expertise extend to all types of goods lifts across the board. 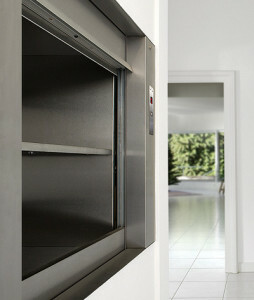 What sets Tower Lifts apart from the competition is our exclusive commitment to 100% bespoke solutions. By taking into account the exact requirements of your business, we can provide you with a uniquely effective and reliable solution for the lowest possible price. We take enormous pride in bringing a real sense of dynamic innovation to every project we take on. From dumbwaiter lifts to heavy-duty goods lifts and all other types of retail lifts for Manchester, Tower Lifts has you and your business covered. In terms of our creativity and dynamic approach to lift installation, we prefer to let the results do the talking. For example, our recent San Carlo Fumo Restaurant project saw the team tasked with not only the installation of two dumbwaiters but also a completely hidden and highly capable wheelchair lift. The TLP1000 Wheelchair Lift we installed is perhaps the most discreet and effective solution all for businesses and premises that simply do not have the space to facilitate a standard wheelchair lift. Since going into business, we’ve worked with hundreds of commercial clients across the country on a variety of highly challenging projects. Regardless of the size, shape or nature of the building, the Tower Lifts design team can create the most innovative and effective transportation solutions the industry has to offer. What’s more, by working in direct accordance with the exact requirements of our clients, we ensure outstanding results are delivered for the most affordable price possible. For more information on any of our goods lifts in Manchester or to arrange an obligation-free quotation, get in touch with the Tower Lifts customer service team today. Tower Lifts takes enormous pride in building long-term relationships with the clients we work with. Whether considering an entirely new lift installation or simply the maintenance/upgrade of an existing transportation system, we can provide you with the on-going aftercare and support your business needs to perform at its best. We’d be delighted to hear from you to discuss your requirements, or with any questions, you may have on any of the services we provide. For more information or to arrange an obligation-free quotation, the Tower Lifts customer service team is standing by to take your call. We’re a Goods Lift Company for Manchester, we have a team of experts ready and willing to help with a lift installation!